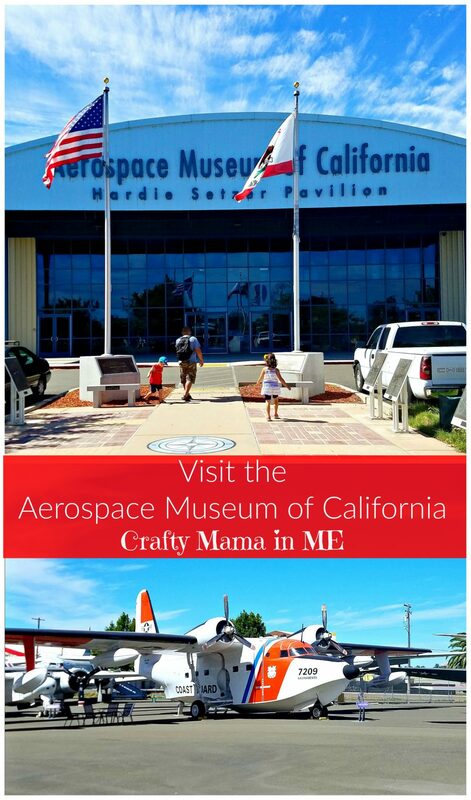 Visit the Aerospace Museum of California - Crafty Mama in ME! If you live in California or will be visiting and will be anywhere near McClellan I definitely recommend a pit stop to visit the Aerospace Museum of California. 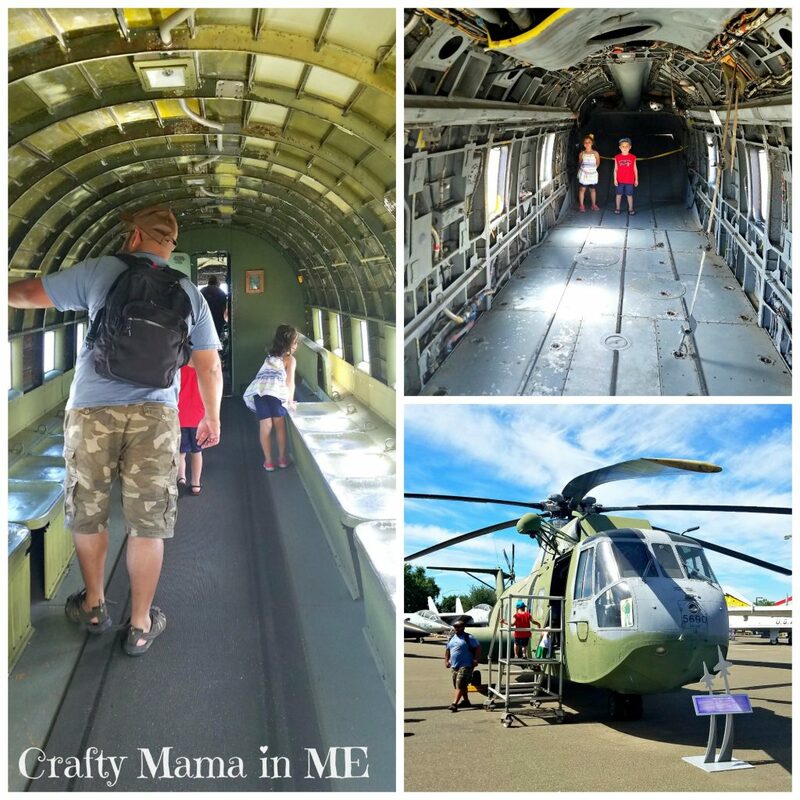 My kids loved that they could touch and get in different air craft. Based on our local friends recommendation we headed over shortly after opening. He said we should go early because the planes you can get in are outside and heat up quickly making them uncomfortably hot and not a lot of fun to explore later in the day (this was definitely true as they were already getting hot around 11am on the June day we visited). Upon arriving we headed straight out to the Air Park (the outside area) to explore! We have learned over the years for museum visits to be enjoyable we need to be flexible and let the kids lead. 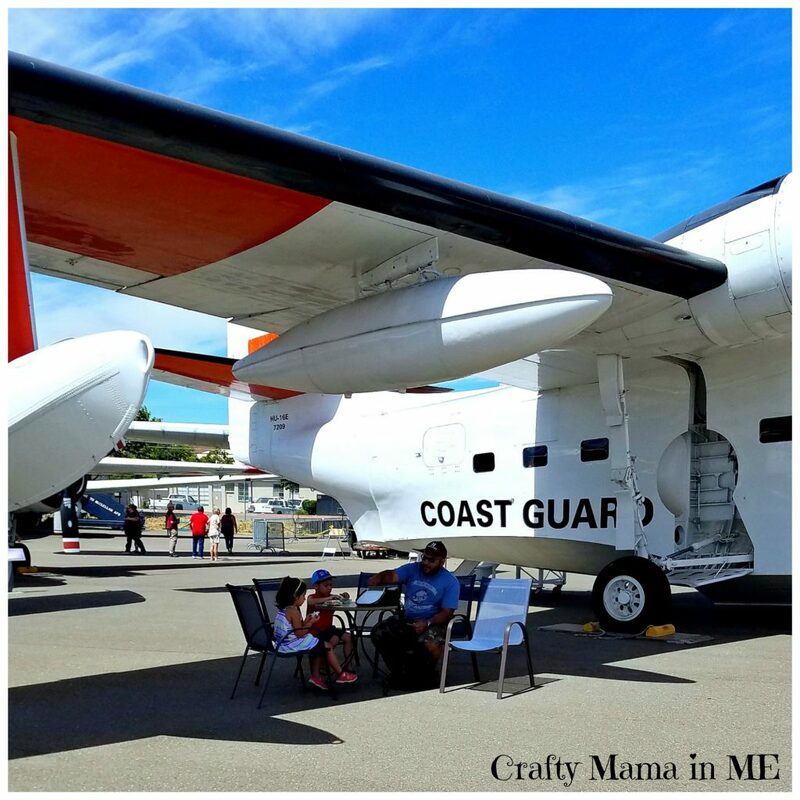 My husband was in the Air Force so he found the various air craft interesting as well. We explored and my husband answered the kids questions. The best part of the museum in my opinion was the fact that some of the planes are opened up for you to get in and explore. 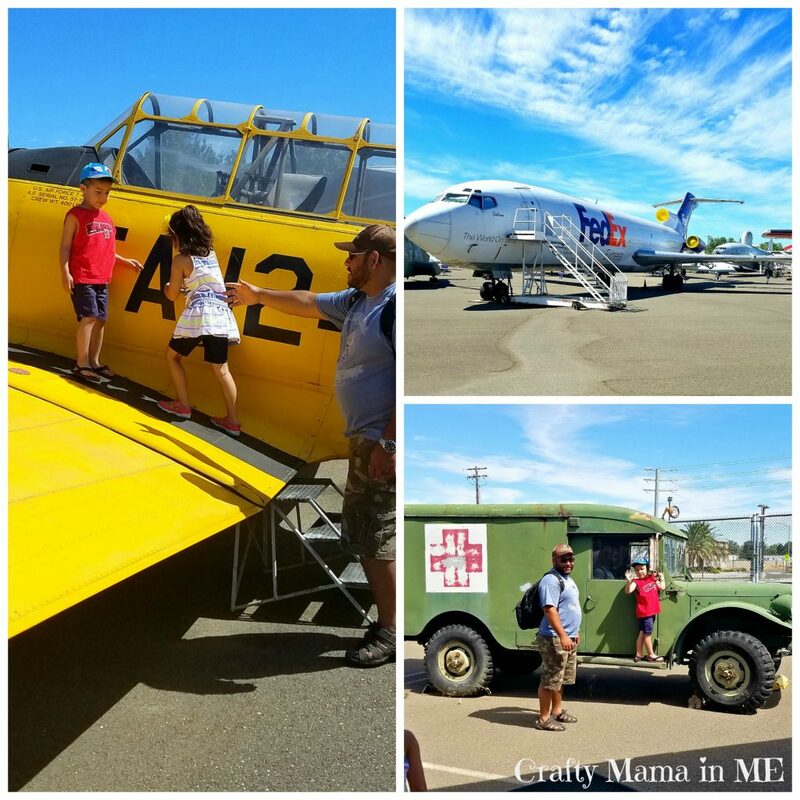 When we visited there were three aircraft open – 1 helicopter and 2 planes. The Air Park was also a great place to relax and have a picnic. We actually ate our lunch at a picnic table in the shade of a planes wing. I don’t know of any other place that you can do that! It was definitely a fun experience. After lunch we headed back inside the building to continue our visit. The kids moved quickly through the exhibits including more planes and a lot of engines and then headed upstairs to the children’s area. 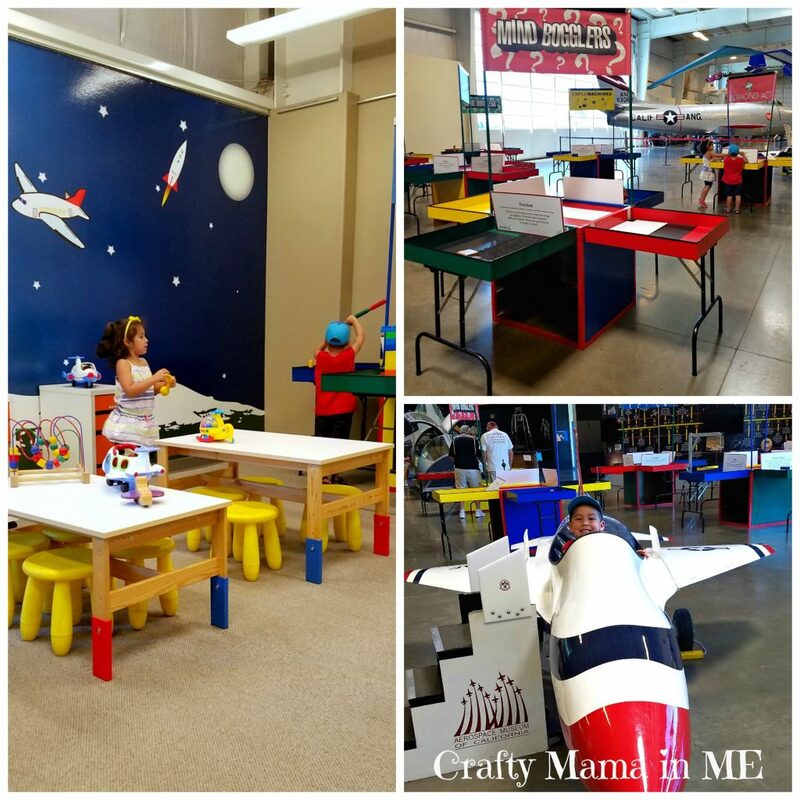 The museum placed a big focus on STEM – with quite a few hands on exhibits. Take a look at more information on the Educational Programs here. We really enjoyed our visit and I wish we lived closer so the kids could go on school field trips when they were bigger! If you are in the area you should definitely take the time to visit the Aerospace Museum of California.